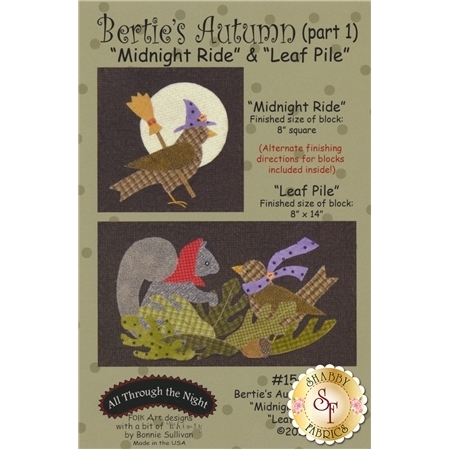 Bertie's back for Autumn in this darling flannel quilt by Bonnie Sullivan. 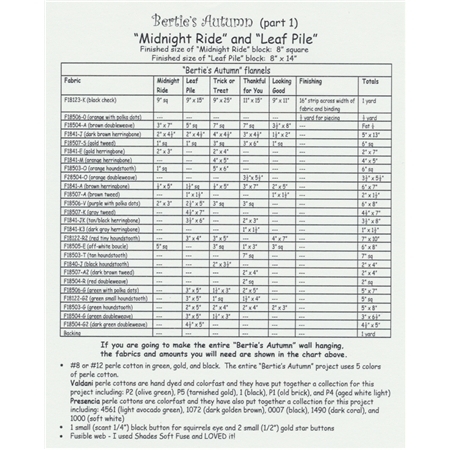 Create the 8" x 8" "Midnight Ride" block and the 8" x 14" "Leaf Pile" block with this pattern. Alternate finishing directions for blocks are also included inside!